Pop star Juanes is firing back at critics after a cleverly Photoshopped picture suggested he was opposed to his native Colombia's recent peace treaty. The La Camisa Negra singer has been at the centre of controversy among his countrymen after a photo of him wearing a shirt which reads: "I want peace. You? Vote 'No"' went viral. 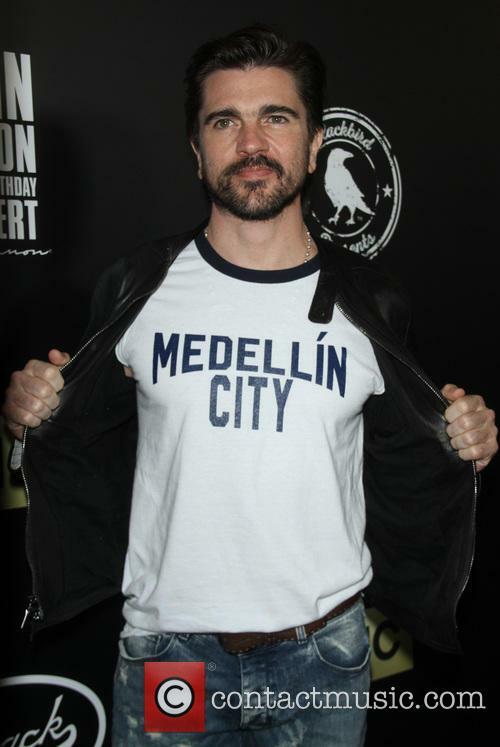 The image led some Latinos to believe Juanes didn't agree with the cease fire agreement signed by the Colombian government and the rebel group FARC (Fuerzas Armadas Revolucionarias de Colombia) in June (16). But the politically active star has now hit Twitter and made it clear he is an advocate for peace and the image circulating on the Internet is completely fabricated. Juanes wrote, "If you know me well, you know I would never support anything like this. This image is a blatant photoshop." He continued to fire back at the detractors, adding, "My dream has always been and will always be to have an inclusive Colombia. I will do anything to have peace. I won't let anyone manipulate my feelings or opinions about my country. I've always thought that talking and having discussions is better than having a war. Haven't there been enough deaths? "I am not part of any political group, and I'm nobody's puppet. I can decide on my own. No one owns peace. Peace is for everyone and everyone can have it if they want it."